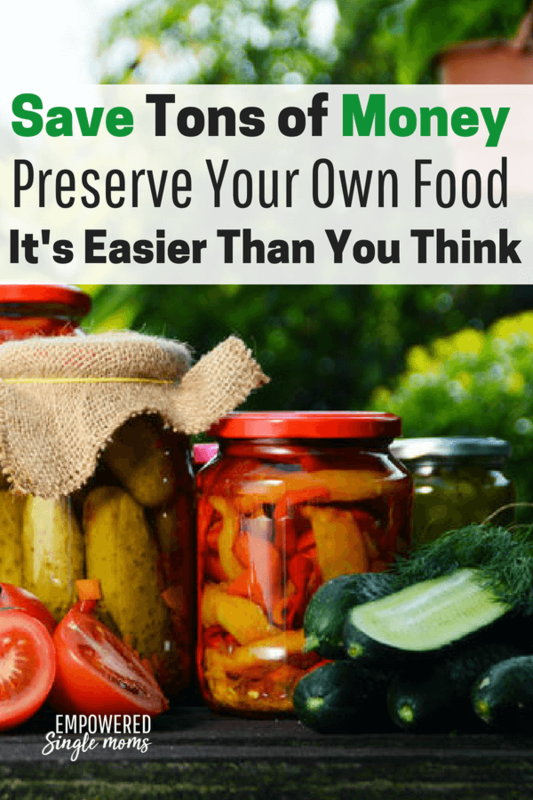 Inside:Food preservation saves money and builds family. 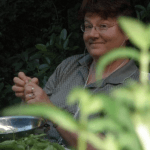 Learn the tricks of preserving food from a mom who has been practicing the arts of canning and dehydrating for decades. This is the third installment in a series of Something From (Almost) Nothing by Dr. Serena Patterson. I love food. Food is for bonding, for comfort, for nourishment, and for joy. If you commit to doing just one thing for your family every day, make it a shared meal. If you can make one more commitment, try to make that meal a family creation rather than takeout. Great food need not be expensive, and it need not take hours to prepare. 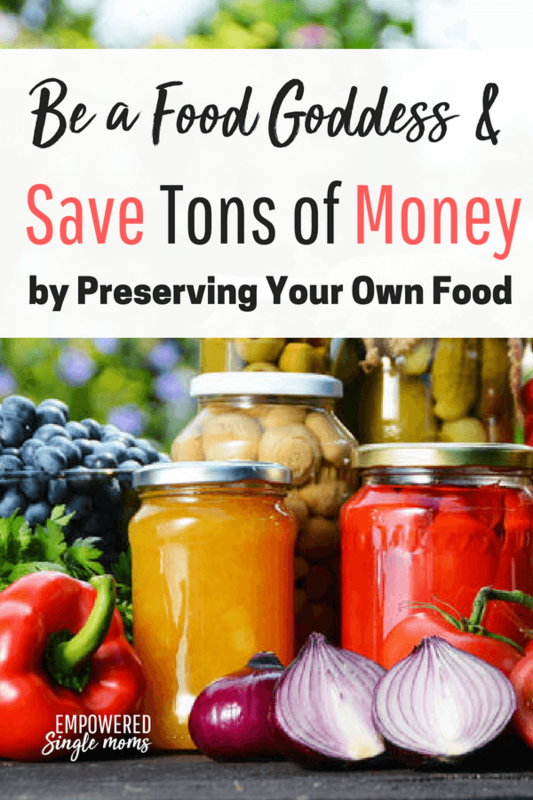 If you get into the hobby of preserving food when it is in season, you will have great ingredients to pull out of the cupboard or freezer all year, and they will combine easily into soups, casseroles, snacks, and whole meals. You may even find time for and enjoy making gifts of homemade food for loved ones. A large soup pot. The bigger, the better. A steamer-juicer. This is a contraption I wrote about in an earlier column. A food processor or blender. You can do a lot without one, but they make quick work of sauces. A food dehydrator. This is a wonderful thing! A chest-type freezer. These are inexpensive and efficient to run. Consider sharing one with a friend if you are short on space. Gather foods in season. If you are well connected, you might even get some for free. Tomatoes, zucchini, and beans are so prolific that people with gardens usually have them to share. The same is true of apples, pears, and sometimes even berry crops. There are two kinds of “green beans,” the bush kind and the vine kind. I grew up on smooth-skinned bush beans. These grow easily and they have a mild, slightly sweet taste. They are great steamed to just tender, and topped with a pat of butter or bacon fat. My mom would put a little bit of bacon in them. My favorite beans to grow in the garden are Scarlett Red Runner beans. These will grow up poles twelve feet high or more. You can arrange the poles into a tent or another shape for kids to play under. They can pick snacks right from the walls and ceiling! Or you can attach poles to the sunny side of a house or garage and watch them take over. They grow very fast, and before they show beans they burst forth in bright red hanging clusters of flowers. They are so prolific that you may find yourself leaving bags of them on your neighbors’ front porches. They don’t need great soil, and they improve the soil as they grow by fixing nitrogen into it. If you don’t know runner beans, don’t be put off by their hairiness or their strings. You have to de-string them by hand (It isn’t bad work; you just snip off the ends of the bean with your fingers or a small knife, and the string will hold on to the end. Pull it off along the “seam” of the bean. Nice busy work for sitting and watching the kids on a summer evening.) They are OK steamed, but they are delicious if you toss them with a little bit of olive oil and some herbs and/or salt, put them on a baking sheet (add thinly sliced onions if you like) and bake them until they are a little bit leathery, browned and flat. This way, they are finger food. Red Runner beans freeze well. They can be baked or put through the food processor and added to pasta sauce (just don’t put in so many that you lose the red tomato color) or used like ground zucchini in recipes. Putting food-processed beans into pasta sauce, pizza sauce or casseroles is a stealthy method of getting children to eat them. One more thing to love about Runner beans is that the ones that get too big to prepare as green beans still make something wonderful. Leave the overgrown beans on the vines until they go dry, and then harvest the big, beautiful bean seeds. These dried beans have a mild nutty flavor and are great in soups or pork-and-beans or beans-with-rice dishes. Just buy some plants or start them early from seed. When they are big enough and the weather is warm enough, put them out in a sunny spot with supports to hold them up off the ground. Tomatoes come in so many varieties. Kids love little sweet cherry tomatoes right off the vine. I love heritage varieties that are purple or striped. Yellow tomatoes are lower in acid, which is good if you are prone to canker sores from too many red ones. After gorging yourself on fresh tomatoes off the vine, set up the water bath canner, a big pot for making sauce, and lots of jars. I prefer large-necked jars because they double as hipster (or hillbilly) drinking glasses. I won’t try to give you all of the instructions and recipes here—go online or go out and find the Ball company’s Ball Blue Book Guide to Preserving. (I used to call it the “Blue Ball Canning Guide,” which got me funny looks in stores, but is easy to remember.) It’s an inexpensive paperback next to the jars and lids. You can make plain tomato sauce, or fix it up with garlic and herbs from the get-go. Try the classic parsley, sage, rosemary, and thyme (like the old folk song). Try oregano. A little bit of lavender in the mix goes a long way. And of course, garlic! You can also make and can your own salsa and ketchup. These are better than store bought and will have no hidden sugar. Our homemade salsas and ketchup are in hot demand as Christmas presents, house gifts, and potluck offerings. You can also dry tomatoes in a dehydrator. These can go into sauces where they add a special flavor that is different than canned tomatoes. Or they can be stored in mason jars under olive oil with herbs, which makes a kind of extra beautiful and fancy antipasto thing to serve with French bread. Fresh Zucchini is ridiculously cheap and will sometimes arrive on a doorstep, along with the excess fresh tomatoes. Steamed, it is boring. It’s much better to brush it with oil and herbs and then put it on the grill. It can also be breaded (that is, dipped in egg and then fine bread or cracker crumbs) and fried, which children love served with ranch or bleu cheese dressing. My favorite way to preserve zucchini is to dry it with the dehydrator. Slices of zucchini, tossed with olive oil, salt, and pepper or herbs, make “zoo chips” for snacking. Shredded, it can be rehydrated with hot water and then used in recipes for zucchini cake, or snuck into soups and sauces in the same stealthy way as runner beans. Yellow summer squashes and patty pan squashes can do anything that a zucchini can do, but they have a sweeter, nuttier taste. I love them steamed or stir-fried out of the garden. Think that squash is squishy, and pumpkin is only for pie? Not so! These are the most delicious and underrated vegetables. Winter squashes include Pumpkins, Butternut, Marrow, Spaghetti, Patty-pan, and my very favorite: Hubbard. Hubbard squashes are ugly—large, heavy, green, and warty like the faces of fairy-tale witches. Cut them open (you need a cleaver for this! They are tough!) and behold rich, smooth orange flesh that looks and tastes like the best pumpkin ever. Pumpkins, like all winter squashes, need a big space to grow. They are delightful to watch take over the patch. They come in many varieties, but beware: the types that are grown for Halloween are bred for size, not flavor or texture. Don’t be convinced that Halloween pumpkins are no good for eating—discard the seeds and the tough skin, and bake or steam chunks of the flesh. Because Halloween pumpkin flesh is stringy, run it through the food processor after it is baked and it will be smooth. We throw so much away that could be delicious! You can do this with any winter squash. The cooked mash can be frozen in bags or in labeled plastic containers and frozen. In winter, it makes great soup. Our favorite combines about three cups of pumpkin with a large tablespoon of peanut butter, a cup of water, and hot sauce to your taste. Easy, and always gets rave reviews! Cooked pumpkin or squash is also great for thickening stews. I used to do this with flour and water, but pumpkin tastes great and is so much better for us. You can use the mash instead of canned pumpkin for baking, of course. If you don’t want to cook and freeze them, winter squashes keep well for several months in a cool place. An enclosed but unheated back porch is perfect. If you have a room that you don’t heat in the winter, you might turn it into a storeroom for winter vegetables (squashes, onions, carrots, and potatoes) that keep well. Don’t let them freeze or they will rot right away. If you have no other place, you can pack your winter vegetables in boxes surrounded by straw or sawdust and keep them outdoors like a real pioneer. Squash can be cut into cubes, tossed with oil and herbs and baked in the oven. In fact, one of my favorite winter dishes is various winter vegetables—squash, sweet potatoes, yams, carrots, turnips, parsnips, potatoes and whole cloves of garlic—all mixed up and baked this way. You can bring a big roaster full of these to a Thanksgiving dinner and people will call you wonderful. Cabbage, usually uncooked, is the main ingredient for coleslaw. I am not talking about the mayonnaise-soaked stuff that passes for coleslaw in the grocery store, or the fluorescent green stuff at KFC. There are hundreds of recipes for coleslaw all over the internet, and many of them are kid-friendly, healthy, and good. Here is one of my favorite fresh cabbage salads. You can find broccoli coleslaw, apple coleslaw, ramen coleslaw, Asian coleslaw, Vinegar coleslaw (which is what my family called boiled vinegar coleslaw—it’s sweet and yummy), Mayo coleslaw, No Mayo coleslaw, Jicama, Carrot and Green Apple coleslaw, coleslaw with mango, with blue cheese and with taco stuff—and that is just the first page! You can make a great coleslaw from cabbage that has been boiled slightly, which is better than raw for people with sensitive digestion (and for the person who sits next to them, if you get my drift.) Raisins or any dried fruit, sunflower seed, apples, and any shredded veggie can become part of coleslaw. Think of cabbage as a canvas for food creativity, and go crazy. A cabbage will keep in cool storage for a couple of months. The outer leaves will dry out, and they can be thrown into the compost. Many kids like steamed cabbage with a little butter on it. My daughter loved this when she was very young, and I was grateful because my food budget was tiny. Then there is sauerkraut. OK, maybe you hate sauerkraut. But if you have only eaten it from a tin can or from the store, you don’t know sauerkraut. I married a German woman, who converted me to sauerkraut. Her homemade fermented sauerkraut is easy to make, cheap, springy, squeaky, fresh and tangy and feels alive (in a good way) in your mouth. There is absolutely no slime, vinegar, or likeness to worms of any kind. I promise. It kept Northern Europeans healthy for millennia, guarding against scurvy (Remember scurvy? It’s what sailors used to get from lack of vitamin C) and, believe it or not, worms. Yep, you can tell your kids that sauerkraut is a natural vermicide—how’s that for a vocabulary word of the day? Sauerkraut making is best taught in person. The Internet can tell you how, and I am sure there are some Youtube demonstrations. But if you can find somebody who knows the European way to make fermented cabbage (sauerkraut) with no vinegar (just salt, and maybe some caraway seeds or juniper berries), offer them whatever it takes—a kitten, some dried beans, zucchini chips, your firstborn; whatever it takes—to get them to teach you how. Then call all of your friends and have a sauerkraut-making afternoon. This involves much pounding. Gather your frustrations and channel them toward a healthy and delicious end. Sauerkraut keeps for more than a year in the fridge if it is stored right. Apples are everywhere. Some varieties will keep in your cool storage for a couple of months); others do not keep well. Apples can be sliced, dipped in water with salt or lemon juice to keep them from turning brown, and frozen to use in pie or crumble. I drive around every summer scouting out untended apple trees. Any trees that overhang the public sidewalk or an alleyway are fair game. Apple and pear trees can be found behind empty houses or in abandoned orchards. People with apple trees usually have more apples than they want, so watch for giveaways. Apples on untended trees will eventually rot or ferment, drawing wildlife to gorge. Where I live (British Columbia), drunken bears are such a problem that they have inspired a community program called The Fruit Tree Project. Volunteers, in crews with ladders, approach homeowners and ask for permission to harvest the trees before the fruit goes bad. Harvested fruit is split between the harvesters, the homeowners, and the Community Food Bank. I make apple juice and applesauce at the same time with my steamer-juicer, and can it hot in one smooth operation. If you don’t have a steamer-juicer, you can take your apples to an apple press for juice. In our community, there is a mobile apple press that can be rented by groups for a day—it is brought to your yard or driveway, or to a park. Apple juice from a press should be pasteurized (heated to the boiling point) at home before drinking, freezing or canning. To make applesauce, simply core the apples and cook them until they turn soft, then use a colander/ricer (described in a previous column) to process them into delicious, warm mush. If you leave red skins on the apples, your applesauce will be pink. Fresh and warm, with a sprinkle of cinnamon, it is heavenly. Applesauce may be canned. Jars of homemade applesauce can go into muffins or quick breads or cakes all year, or eaten as they are. Applesauce also makes the best base for fruit leather, made with your dehydrator. Nothing could be simpler. It’s great as Apple leather, but it is even better mixed with other mushed up fruit like blackberries, strawberries, blueberries and raspberries. The applesauce provides enough fiber to hold the leather together, and the sweetness of the apples mellows the tartness of berries. Your fruit leather will be drier (not sticky!) and tougher than store-bought, and it won’t have the added sugar. It is good for all ages. Fruit leather releases its natural sugars slowly, so it is a healthy alternative to candy. It’s great for road trips, night-before-exams study marathons, even bath time. Strawberries are the first fruits of summer. You may have to bribe your kids to get them to help you out at a U-pick place, and you may have to leave a little extra behind with the farmer to pay for fruit consumed on the field. This is one place where I stooped to the most evil of all motivating strategies with my kids—competition. We got 20 pounds of strawberries that day. Strawberries are second only to blackberries for making jam. They also make syrup (which is what I call the jam that didn’t set right in the jar). They can be frozen on a cookie sheet and then put in freezer bags so that the whole berries keep their shape. They combine with rhubarb to make a beautiful concoction to pour into yogurt or to thicken into pie filling. As the strawberries slow down, the raspberries and blueberries arrive for mid-summer. These might be easy to grow if you have a little space. Raspberry canes need to be pruned each year—next year’s berries will grow on this year’s new growth, and this year’s canes turn brown and get pruned away. Blueberry bushes don’t need to be pruned and if they get better every year. Neither like hot dry sun—give them a little shelter and water through the hot season. Look up how to take care of them where you live; some varieties may need protection from the cold. When it is blackberry season you know that your summer is almost over, so savor them while they last. Currants and gooseberries also come in late summer. Blackberries are wonderful for pie or cobbler or crumble. They juice out a lot, so you will want to stir in some flour or cornstarch before you cook them, and maybe just a little bit of sugar! They make the best jelly and jam in the world and freeze well but don’t hold their shape. Frozen blackberries are good for baking, smoothies, and anything else where you don’t need to be able to see the individual berries to enjoy the food. And if you are really, really clever, blackberries make great wine. Blackberries were my first free food discovery, and I go back out for them every year. They often grow in back lanes and on abandoned lots, free for the picking. Wild blackberry vines are prickly, and they spread vigorously over vacant land by throwing out prickly, tough “leader” vines, which often come between you and the berries. To go picking, wear tough clothing on your arms and legs, and shoes that cover your feet. Bring leather gloves. Wear a hat. Bring with you also some garden clippers (to attack the leader vines), a board to stand on (if you have some, bring boards to straddle a ditch like a little bridge), and maybe a small ladder. Bring many big containers! We pick up to 10 pounds within a couple of hours when we go out. All of the berries can be combined with applesauce to make fruit leather of different colors and flavors, or dried whole for winter munching. Pear slices dried are sweet like caramel. If you dry apple slices, dip them in water with lemon juice or salt first. You may also want to sprinkle some of them with cinnamon. Small dried berries can be added to granola (yes, you can make that at home inexpensively, too, and it isn’t very difficult). If you are somewhat adventurous and very, very careful about following instructions, you can can meat. (That’s fun to say—I can, you can, two can can because we can! This will entertain a three-year- old and drive a teen to distraction.) That is, if you use a pressure cooker. Easier ways to preserve meat are freezing and drying. If you have a deep freezer, think about teaming up with a pal or three to share one butchered pig or cow directly from the farmer or butcher. The season to do this is the fall. A good butcher will probably help you to find an animal, and will package the meat up equally. This can save money and allow you to buy meat that is raised locally (often humanely and organically) and does not go through a mass processing plant. If we must eat our animal friends, at least they should be happy until then. Making jerky at home is so much less expensive than buying jerky in the store! Of course there are many recipes, and you can vary it up and get creative. Beef jerky dresses up a child’s bag lunch, or, like fruit leather, can brought on a family outing to stave off starvation and avoid the hot-dog stand. Real food is made for bonding. Your dehydrator can be used to make soup kits. Dry diced veggies, onions, and garlic, and flavored meat pieces (make sure it is very, very dry like jerky). Package it with some dried noodles (which you might make yourself!) or beans, and a packet of spices. Add directions for preparing (for instance, what kind of broth to combine it with, and cooking the beans first because they take longer) and tie it up with a nice ribbon for a gift. Or you can skip the ribbon and put it into your camping supplies or your Emergency Zombie Apocalypse Kit. I have already hinted about the joys of food preservation in groups. If five friends each decide to choose a specialty, they can focus on learning that one skill and trade with or teach each other. You could hold a food swap before Christmas, perhaps with a clothing and toy swap and/or a cookie swap (which is the best way to have several kinds of cookies for the holiday, while only baking one kind over and over). Put the kids in one room with a plastic rug and tablecloth, gingerbread shapes, spreadable colored frosting, and paint brushes. Put out plates of veggies, dried fruit, and beef jerky to balance out the sugar that they eat. Add a good video and you might get some adult time. If you can find a mobile apple press, you can create a block party by donation. This is a good one for the Halloween season. Are you thinking what I am thinking? Spooky sounds? Costumes? Dancing the Monster Mash? And everybody goes home with apple juice. My spouse and I spend evenings together from early August through October preserving stuff—the year’s food, its memories, and our dreams for the year ahead. I pick up the knife that my grandmother gave me, and I feel her by my shoulder. We put on music, or talk, or just get lost in our own thoughts as we peel, snap, cut, wash, sort, cook, can, freeze, and dry. We sip our garden tea (lemon balm, peppermint, rose petals, and lavender). We make sweet labels for packages that we’ll give to friends for special occasions. I remember when the kids lived here and they would get involved, too. Tough little Gracie would give her teachers her special “Black and Blue Berry Jelly.” Tanner mainly ate…and ate, and ate, and ate until he was over six feet tall with feet that went on forever. (Ok, maybe a really great salad would work…) Be a food goddess: extravagant, creative, and resourceful. Relish the processes and celebrate the results of your labor. Make it yourself and share the love. That’s what food is all about.